Live your nightmares as they're delivered to you by, again, another Ohio photographer and model duo. 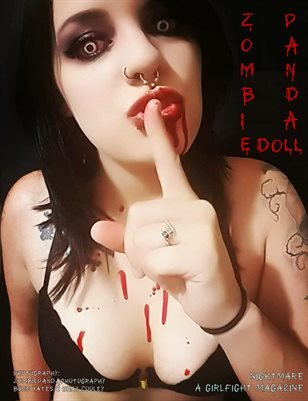 Ever met a ZombiePanda Doll? Me neither but in this depraved issue we'll be introduced to some more sinister showcases complete with blood, gore, goth, and allure! Don't be frightened fiends... she's already dead.